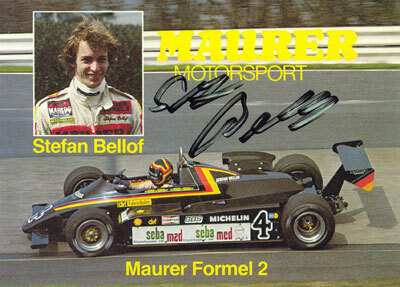 One of the last photographs of Stefan Bellof. 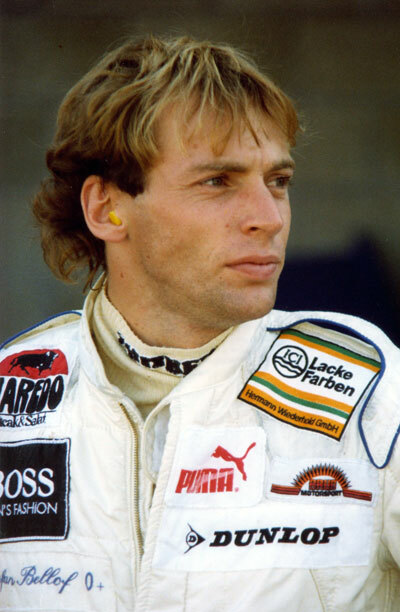 when he tangled his Walter Brun-entered Porsche 956 with Jacky Ickx's works 956 at Eau Rouge corner. 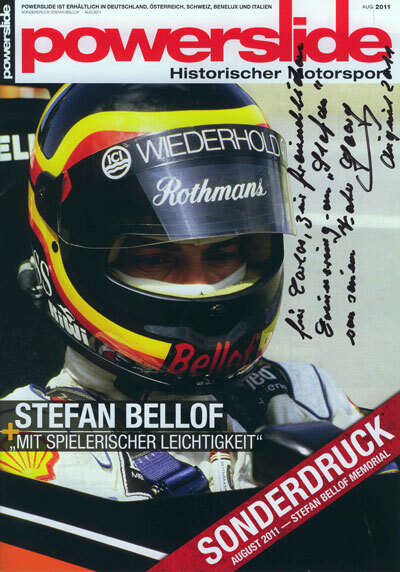 Father Georg BELLOF kindly signed this special issue of POWERSLIDE magazine, dedicated to his son Stefan. "To Carlos, as a friendly souvenir of "Stefan" from his father Georg - August 2011"